An in depth primer on the AC and DC systems on an RV and how they operate. Tim gives you a basic understanding of the electrical system in your RV. He walks you through the basics of AC and DC power, shore power plugs, extension cords, and much more! Go to 17:08 for a wiring guide with diagram. Porter's R.V.s, an Oregon R.V. dealer since 1966! Watch this video to understand the basics of the R.V. 12V and 120V systems. The importance of understanding the source of power supplied by AC and DC in your vehicle. Using commonsense RV distribution center troubleshooting methods can narrow down the possibilities, helping you to figure out exactly what kind of repairs you need. In this video we show How To Hook Up Shore Power Or Electricity To Your Motorhome/RV. We have a camping trip coming up! I needed a plug for the camper at the house, plus I also needed a normal 110v outlet on that side of the house. Let's install one! Inverter types and sizing an inverter for your needs. 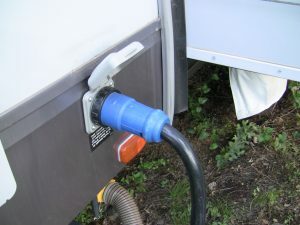 We installed a 30amp RV plug to charge his Class C RV. Why Was My RV Giving Me Electrical Shocks? Hello and welcome to The Great Outdoors RV! To get the best service and longest life from your batteries, be sure to use the right type for your particular RV’s needs and power usage.